The haunted Lizzie Borden Bed and Breakfast is known to be quite attractive to guests seeking to learn more about the mysterious history of the home, as well as the spirits that are said to still linger in the home. In the year of 1892 on the 4th day of August, tragedy occurred inside the home where Lizzie Borden, her stepmother mother, father, and sister lived. Lizzie had just turned thirty two years old the previous month. Her stepmother and her father were both murdered. 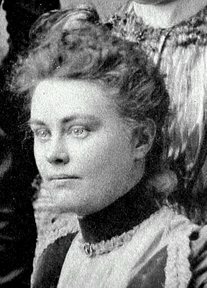 Many pointed their fingers at Lizzie Borden, despite the fact that she was found innocent. Here, you will learn the haunting tales of the haunted Lizzie Borden Bed and Breakfast. This home, which is located in the city of Fall River in Massachusetts was constructed and completed in the year of 1845. Mr. Andrew Borden, his wife, and two daughters moved into the home. Soon, the first wife of Mr. Borden passed away. Her name was Sarah. Then Lizzie and her sister grew distant from their father. The home became emotionally restricted, and full of conflict. Matters became worse when Mr. Borden elected to remarry. His new wife was named Abby. Shortly after the marriage, Andrew Borden thought it best to start distributing his estate equally among the many family members. The Borden girls did not seem to be content with this. There was one other person that lived in the Borden home. This was a housekeeper by the name of Bridget Sullivan. In addition to this, an uncle by the name of John Morse was actually visiting the family, but he was not present at the home when the infamous murders of Andrew and Abby took place. 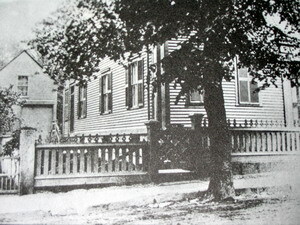 Emma Borden was at the home in her room at the time of the apparent murders. On the morning of the 4th of August, the family started their day as they would any other day. Prior to this day, they each had fallen ill. Andrew was concerned that the family may be poisoned for one reason or another, but the doctor of the community eased his fears by informing him that something the family ate did not agree with them. Andrew went to work at a prestigious job he held at the local bank. Abby had spoke with the housekeeper and instructed her to simply wash the windows that were located on the ground floor of the structure. Once she helped the housekeeper to get started on her work, she decided to go upstairs to the guest bedroom where John Morse had been sleeping to change the bedding so that her guest could be comfortable and to help the maid out a bit. It was a very large home and Abby was known to assist the housekeeper often in keeping it. Someone entered the room behind Abby and apparently hit her over and over again with some type of hatchet or ax until she was dead. Then, left her lying on the floor of the room. Shortly thereafter, Andrew had returned to his home for his lunch break. He actually came in a bit earlier than usual on that day, and decided to rest on a small sofa prior to the housekeeper fixing some lunch. When he did, someone came from just inside the door to the side of the sofa where he rested and hit him in the head over and over again with the same weapon that was used to kill his wife. With about thirty minutes of her father being murdered downstairs, Emma heard Lizzie crying out for help and acting frantically. She rushed downstairs to see what the fuss was all about and that was when she discovered Lizzie standing in front of her father, completely distraught. Naturally, neighbors and personal friends of the Borden’s started to arrive at the home. Several tended to Lizzie and Emma set out to try to find her stepmother. What she found was shocking, as she discovered her dead body in the upstairs guest room where she had been murdered in the same respect as her father. On the 11th day of August, the local police arrested Lizzie with reasonable cause that she murdered her father and stepmother. However, seeing that there was only motive based on the conflicts in the home, and no murder weapon or other evidence, she was found to be innocent. There are several rumors of the hauntings that apparently occur in the haunted Lizzie Borden Bed and Breakfast. Many people state that the spirits of Andrew and Abby still linger in the home. Seeing that they were murdered so quickly, and did not know what was coming, it is believed that maybe they do not realize that they are deceased and should move into the spiritual world. Others state that the spirit of Lizzie, who died in 1927, still roams the halls and rooms of the infamous inn. Many have claimed that objects move around mysteriously in the home, and some hear strange and unusual noises, such as walking and whispers in the shadows of the home. Check out this video about the haunted Lizzie Borden House. If you visit this structure, you can elect to spend the night or simply take a look around. If you are into haunted places to go, the haunted Lizzie Borden Bed and Breakfast is a hot spot when it comes to paranormal activity. Get directions, view photos, and read visitor reviews and traveler tips for the Lizzie Borden Bed and Breakfast.